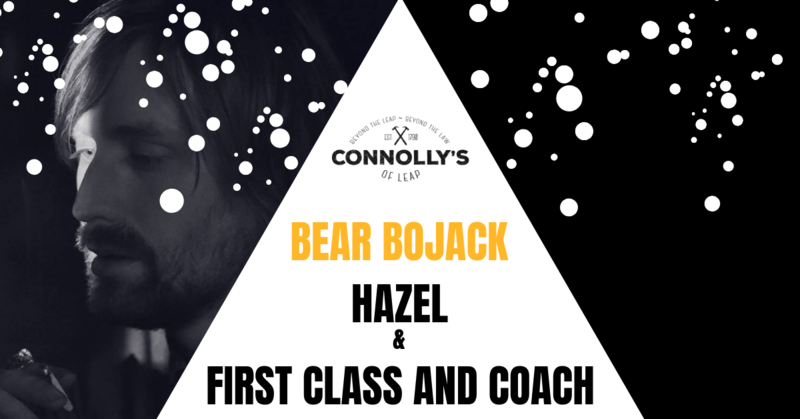 Bear Bojack is an 8 piece collective of harmony-based alternative folk-soul. Think Ray Lamontagne vocals with ambient Bon Iver arrangements alongside melodies and lyrics which both haunt and uplift in equal measure. After the critical acclaim of the first album ‘There’s a Fire’ which led to film syncs on several major films such as the Host and Bella Vita Bear Bojack have been back in the studio working on the follow up album ‘Hope Dies Last’ and with top level supports such as James Vincent McMorrow, Brian Deady and David Kitt 2018 was an exciting and productive year. NYC meets Berlin meets West Cork. Seeking to push the limits of the indie-rock genre, their sound has a diverse variety of color… reverb-drenched piano, distorted, squalling guitars, driving bass and hypnotic drums – all punctuated by uncompromising German / English vocals. Reuben: played in bands for 20+ years in NYC, he enters West Cork with a wall of noise. Tapping into his experience as a motion graphics director, Jonathan brings his visual projections to the live shows, creating an immersive live experience. Geraldine hails from Berlin and has long been song-writing and performing live music in many guises. Dark Melodic, piano-based Indie Pop with lyrics exploring everything from her perception of life to her experiences in love.